Your customers can pay an invoice straight from a link in the email. This works whether they are viewing the invoice on their desktop, laptop, or on their smartphone at the beach! Providing customers with convenient and quick ways to pay bills can help guarantee your revenue stream keeps flowing. 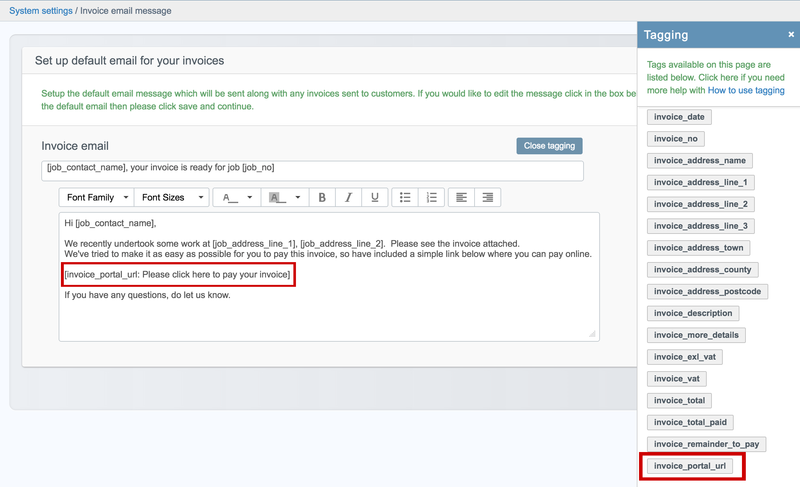 When you raise an invoice and send it to the customer by email, the customer receives a link to the invoice portal. This allows them to view the invoice and pay the money owed immediately. Once the invoice has been paid you will receive a notification in Commusoft. The user in the notification is the person who created the invoice e.g who sent the portal link to the customer. To take payments online, it is required that you are set up to accept card payments, by integrating a service such as Stripe or WorldPay. The customer will then simply be able to enter their card details and send payments with ease. Utilising online payments for invoicing removes the tedious process for office staff of taking card payments over the phone. Once an invoice is paid, your office will get a notification of that payment within Commusoft. Please note, there is no settings page for the invoice portal - it's so simple, it doesn't need one. 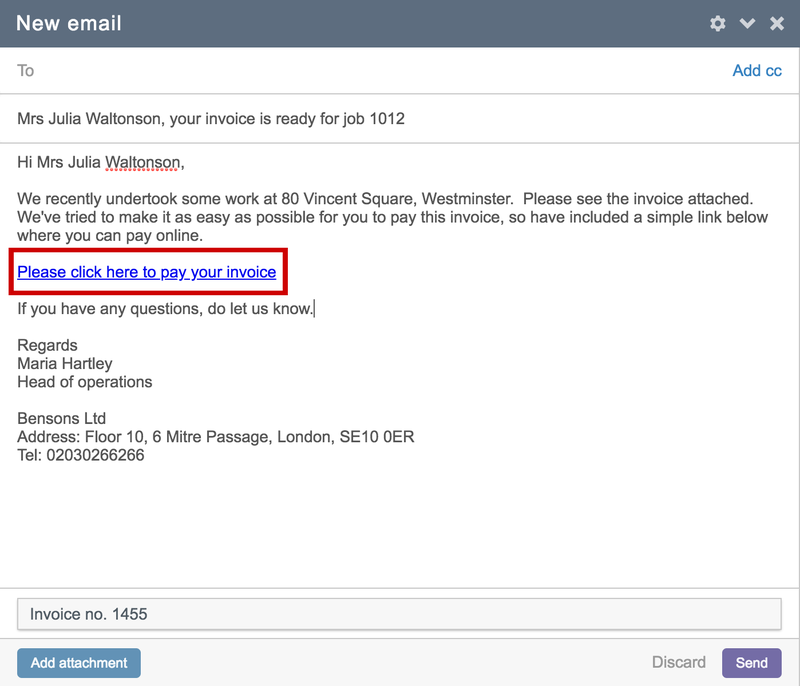 Adding a link to your invoice email is easy - just edit your invoice email message to include the portal. This will appear as a text link within your email for customers to access and pay the invoice. Once that is saved, the next time you send an invoice by email, it will include this link. As mentioned earlier, this feature does not work without card payments. Therefore, you will need to have the card integration active in order to see the invoice portal tag and add it to your email. Now, when you send a customer this link, it will instead display as 'Pay invoice online here'. Being able to customise this means you can tweak and edit your communications to best reflect your business and style.